The marriage of cold and sweet. This delicious snack contains natural sugar, but compared to sweets with added sugars, it’s low in calories and full of nutrients! 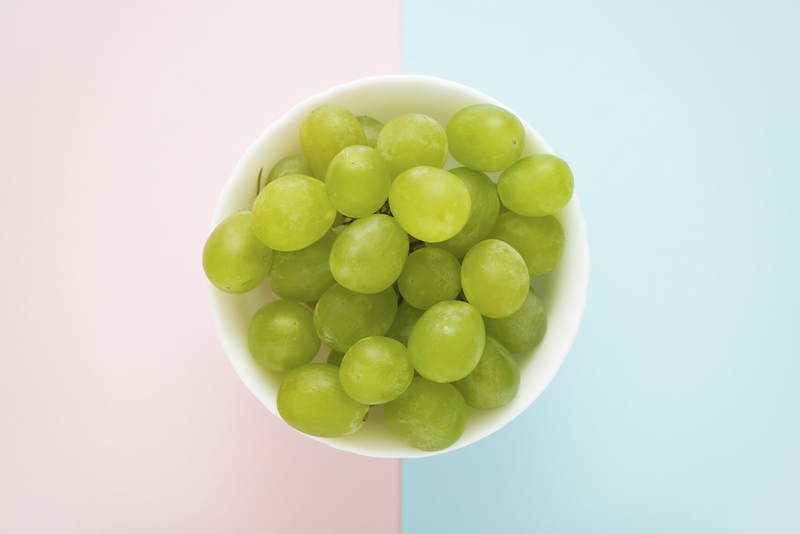 Because frozen grapes are so cold, it takes a while to finish a full cup of this snack. And by that time, you will already forget why you wanted something sweet in the first place. What is “really” dark chocolate? And why does it matter? Here’s the deal… If you want to eat less sugar, you need to start reading the nutrition labels. Often, you will see something advertised as “dark chocolate” when in fact it contains just 60% or less cocoa. If you’re looking for the real deal, get the 80% cocoa chocolate (or more!). While the other chocolates contain 30-50g of sugar (per 100g), the really dark ones usually have less than 15g of sugar (per 100g). And trust us, you won’t be able to eat all of it. Actually, you might be satisfied sooner than you think. Have you ever seen those really shredded bodybuilders? Getting ready for a competition like that means really getting used to life without sugar. One of the ways they make the egg whites and low fat yogurt taste much better is by adding cinnamon! When you brush your teeth, your brain thinks that the mealtime is over. Maybe. Probably not. 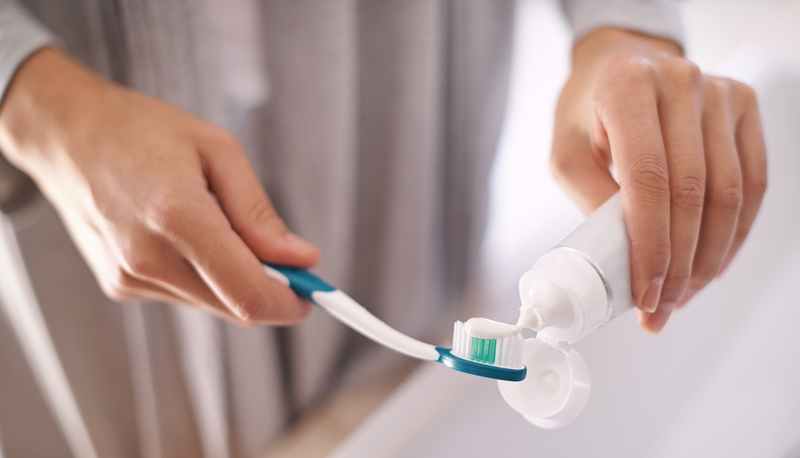 But don’t worry… even if you still know that the meal is not over, brushing your teeth helps in another way. The cool mint flavor in your mouth will ruin any possible taste that comes after it. So, if nothing else, you will have to wait for a while before you can actually taste something sweet. And by that time, you might have changed your mind and gone to do something else… maybe a workout! It’s not just about getting your mind off of chocolate for a while… although that helps, too. Working out as a means to curb sugar cravings is more about that post-workout feeling. This “post-workout high” or if you were running, the so-called “post-run euphoria,” is the chemical and psychological effect that exercise has on your brain. It might just make it less likely that you attack sweets. Why? Because, according to studies, the post-workout high makes you happier, more confident, and satisfied. (3) The victorious feeling of being closer to your goal inspires healthier behavior that keeps you off sweets and makes you crave a healthier meal instead, at least short-term. Want to do a workout but not sure how to start? Get your free Runtastic app and experience the runner’s high! Know your enemy! The better you understand how sugar affects your body, the easier it gets to say no. Learn more about the effects sugar has on your body and how you can benefit from quitting sugar. It seems that the longer you stay off sugar, the easier it gets to avoid it. This is because other foods, such as fruit, start tasting much sweeter to you. Some people even find it too much to eat milk chocolate after they’ve been off sugar for a while because they find it too sweet. If you want to give a “sugar detox” a try, check out what happens when you quit sugar for 30 days. Indulging now and then is part of a healthy diet, but it’s important to have ways to curb your sugar cravings so that you can reduce the overall sugar intake in your daily life. Start easy and make it your goal to overcome 2 cravings this week when they hit. Once you find out what works best for you, it’s going to be easier to practice it on a daily basis! Great ideas! How about chewing gum too!